We will have our regular hours otherwise! As always, we are happy to see emergencies while we are open. Should an emergency arise while we are not in the office, our friends at The Life Center will be happy to assist you and your pet. 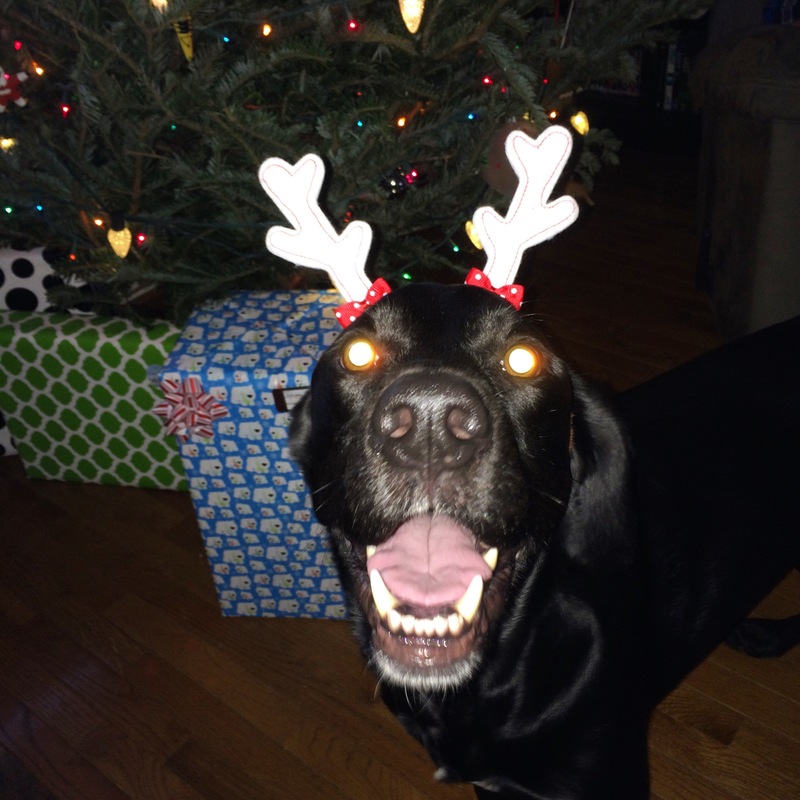 We’d love to see some pictures of your pets in their most festive holiday attire! You can post your pictures to our Facebook page. We look forward to seeing all the smiling faces! Here’s a picture of River, one of our technicians’ dogs, channeling his inner reindeer! We hope you and your pets have a fantastic holiday season!